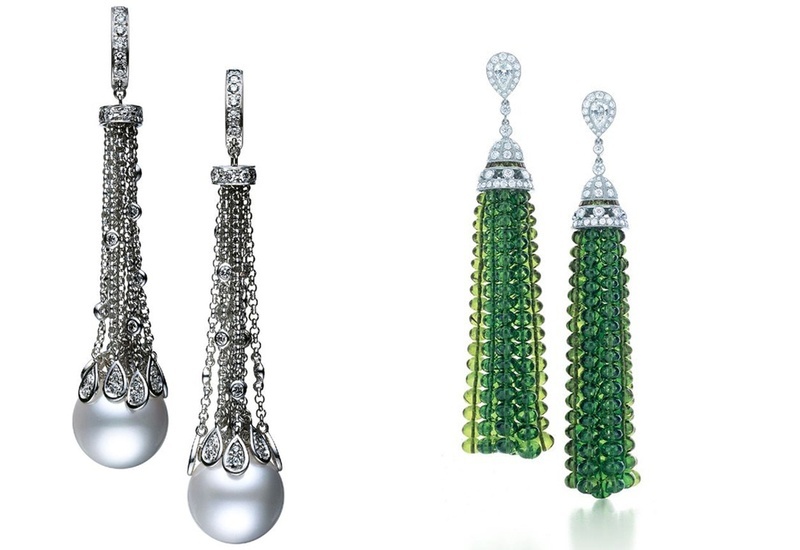 Bridal Jewellery Trends We Love – Tassel Earrings! Fashion trends are ever changing, always evolving and bridal jewellery trends? Even more! While we completely despise some, the others seem to make us swoon in ways we haven’t before – and Tassel earrings is one of them. A style that speaks of the contemporary modern bride. This newest bridal jewellery trend has all positives for our future brides-to-be! Being mostly made out of cloth, colorful beads or pearls, they prove to be super comfy and versatile enough to wear to at a sangeet, cocktail or even your reception! Give your bridal jewellery a twist with this new trend. We’ve all exhausted those chaandballis and jhumkas over the years – this time, keep it dangle-y and pretty with these beaded/cloth/pearl beauties which will surely take your whole bridal ensemble to a whole new level. Bronze beaded dangling earrings – pair it with navy blues or deep maroons for that chic-royal look! Emerald stones with white pearls – Picture perfect white pearls with green stones for that Mughal-E-Azam themed sangeet. Chaandballi Danglers – Pair up two of your favourite trends, the chaandballi as well as the tassle danglers like this one! Origami style tiled earrings with orange tassel jhumkas. Don’t miss the intricate blue enamelling! Kajol pulling off those gold metal tassels flawlessly! Colorful cloth tassels – light, stylish and oh-so-pretty! Gold Metallics can do you no wrong!